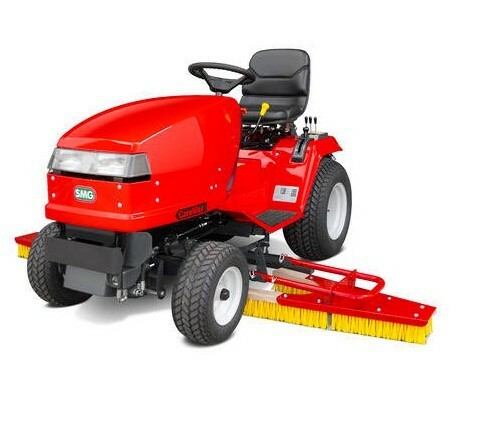 CareMax CM2D is driven by a 17 HP water-cooled diesel engine and can be equipped with several proven attachments for the cleaning and maintenance of artificial turf pitches. 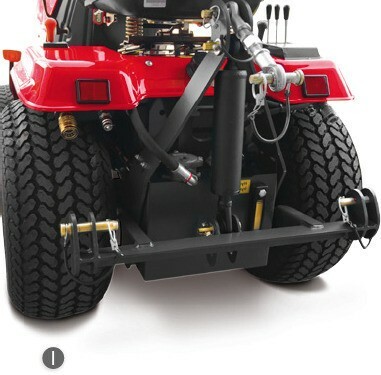 The rotary brush at the back of the CareMax CM2D (TurfKing) is precisely depth adjustable. It removes the very upper layer of infill material, the oscillating sieve separates dirt from sand and granulate. The integrated suction turbine separates the dust and fibre abrasion by means of a permanent filter. That way the permanent filter carries out a continuous cleaning function. The now cleaned infill material will be dosed and returned to the system. CareMax CM2D manages all the above functions during one single operation and thus enables the cleaning and maintenance of artificial turf in a simple and time-saving manner. CareMax CM2D is equipped with triangular brush sections between the wheels providing a working width of up to 2.4 m. The infill material is levelled with them and worked it into the turf. 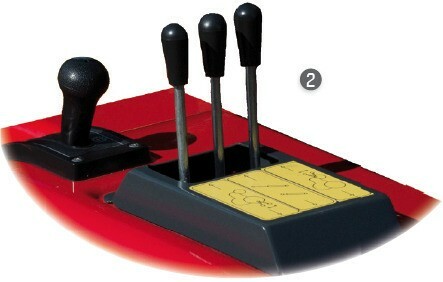 The depth-adjustable tine row will assist the decompacting of the infilled systems. Both the triangular brush sections and the tines are hydraulically actuated.